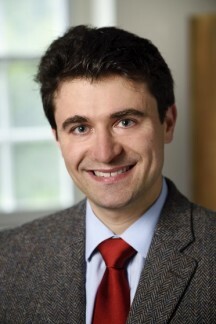 I am delighted to share that we have selected Gabe Paquette, professor of history at Johns Hopkins University, as the next dean of the Robert D. Clark Honors College. Gabe is a tremendous scholar. More so, he demonstrated incredible focus on student success throughout this process. His experience as a highly regarded teacher, academician, and mentor, coupled with his sparkling personality, make him the ideal candidate to lead the Clark Honors College. We firmly believe he will bring a passion for undergraduate student success and a deep appreciation for excellence in research and scholarship to this critical role. Gabe received his doctorate and master of philosophy degrees from the University of Cambridge, along with a master of arts degree from the University of Ireland and his bachelor of arts degree from Wesleyan. He arrived at Johns Hopkins in 2011, earning the rank of full professor in 2014 and has been engaged in a fellowship in the provost’s office for the last year. Gabe will be a welcome addition to our school and college leadership, joining a group of deans who have injected new enthusiasm and vision across the UO campus. We are eager for him to join us; he will be on campus by early September. I would be remiss if I did not extend my greatest appreciation for the work of Karen Ford, who not only tirelessly served as the interim dean but took critical steps that have set the Clark Honors College on a new path. Karen’s important work has really positioned Gabe and the college for great success. The faculty and staff in the Clark Honors College were essential to our being able to make this hire. Thank you to everyone who participated in the process, especially search chair Bruce Blonigen, dean for faculty and operations in the College of Arts and Sciences, and the committee. Please join me in welcoming Gabe Paquette to the University of Oregon.